The Incineration Cannon is your favourite weapon because of its above average marshmallow roasting capabilities. Your preferred Ordnance Drop consists of a tent, sleeping bag and portable stove. You think DMR stands for “Doesn’t Matter, Really”. Because with way you play the game, it doesn't, really. The crouch button is always the first button to get worn out on your controller. You have more Base and Flag Defense medals than all your friends combined. You wish “stationary” was a selectable status on Facebook. You think Active Camo should be buffed. You’re offended when people call it a legit strategy because it’s more than that. It’s an entire way of life. 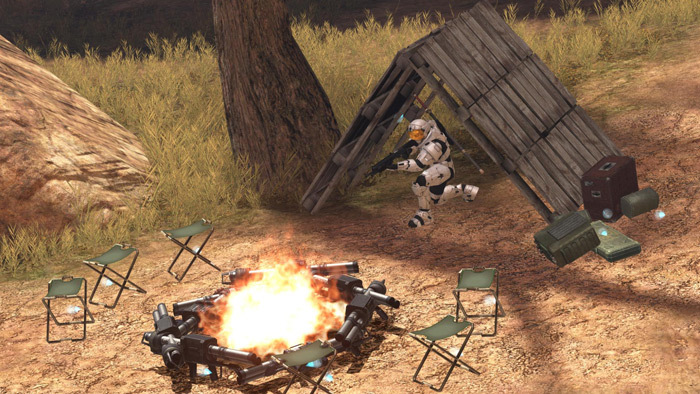 When anybody asks how your last game went, you say, “It was 'in tents'” and then laugh hysterically. You read this entire list while you were mid-game, and your position still hasn’t been discovered.